I was never a Girl Scout. I blame my brother, who quit Cub Scouts after my mom had bought all the swag. The wasted money sullied any kind of scouting for me. 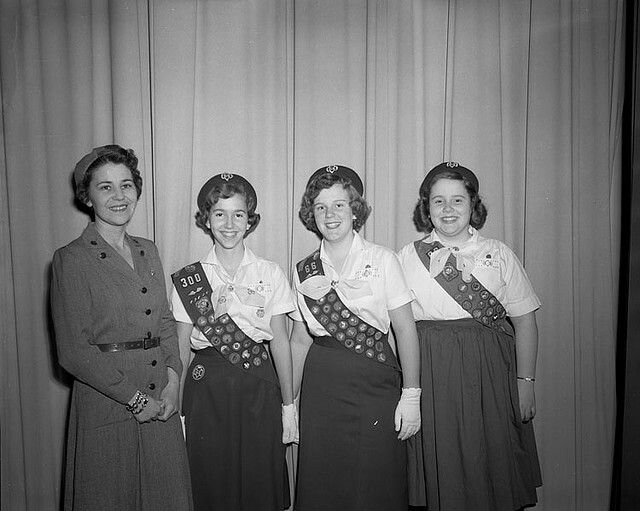 That absence in my childhood fed my admiration for the Girl Scouts. I’m all for the empowerment of girls — and accessories that display your talents and achievements. Late last year, I became a volunteer for Troop 628 of the Girl Scouts of Kentuckiana, thanks to my friend Christine. Now, I get to see how powerful it is to teach girls they can do anything. I get to watch girls who are eager to learn new things and not ashamed of that hunger for knowledge. I also have a good line on where to get some Girl Scout cookies. The Girl Scout cookie program is much more than a fundraiser. It’s a fun way for girls of all ages to earn the money that fuels their dreams. And it’s a powerful, hands-on leadership and entrepreneurial program where girls learn goal setting, decision making, money management, people skills and business ethics. The Girl Scout cookie program can lead to bigger things for girls in business, in society and in life. Helping girls dream more, have more opportunities and do more than they ever thought possible. You’ll see Girl Scout cookie booths popping up in front of stores around the city Feb. 21 to March 16. A certain awesome troop will be stationed at the Holiday Manor Kroger during the coming weeks. Come say hi and buy a box or two. You can also ask a Girl Scout you know if she’ll take an additional order. There’s a neat Girl Scouts app to lead you to your nearest Girl Scout booth. Remember, cookies are $3.50 a box. On Feb. 26, Girl Scouts of Kentuckiana will host the annual Desserts First fundraising event. Chefs from around Louisville will make desserts using Girl Scout cookies. Click here for more information about the event. 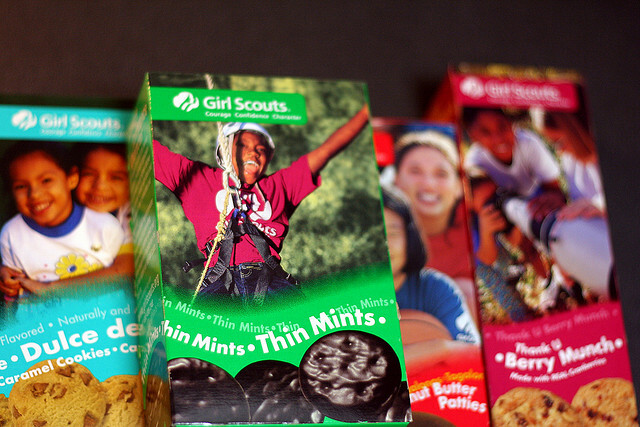 Now that we’ve gotten that out of the way, it’s time for an important question: What’s your favorite Girl Scout cookie? Samoas, samoas, and more samoas. Thin mints, Tagalongs. Honestly never met a Girl Scout cookie I didn’t like….